Your logo is custom printed in full-color. This 3-sided table cover drapes the top, front and sides (open back) of a 6 foot standard table. 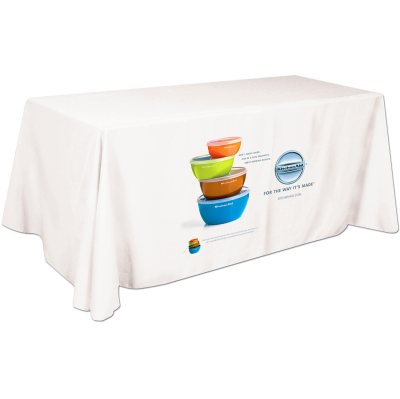 They are washable, flame resistant and easy to store and ship. Made of premium quality white polyester.